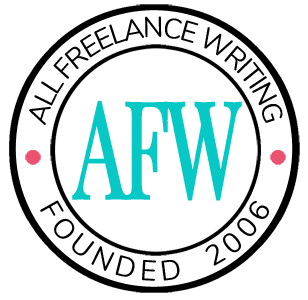 Another calendar year means another fiscal season for freelance writing businesses. It's a great time to organize your finances. You may have had an ineffective organization system last year, if you had one at all. No matter what you did last year, the start of 2013 is a great time to tweak your old system or to create a new one. When I talk about organizing finances, here are a few things that will be part of your system. The most important thing about your organization system is that you can find what you need when you need it, especially at tax time. For example, you might have to pull up a copy of an invoice to verify the amount or see whether it was paid. Without a good organization system, it could take an unreasonable amount of time to find what you need. Your system can be physical, with hard copies filed in folders. Or, it can be electronic, which may require you to scan some documents. Having both types of copies can come in handy, especially if there's a tragedy like a house fire. You want to be able to access a backup in case something happens to your main copy. Many of my invoices and payment receipts are attached to an email. I put these in separate folders so I can locate them easily. You can file your documents according to type, e.g. store all the invoices together, etc. Or, you can store your files based on a time period like monthly or quarterly. It's based on what makes the most sense to you. It's important to be diligent about storing your files. You don't necessarily have to store them immediately, but you should have a habit of filing important documents periodically. Weekly on a specific day or monthly on a certain day are good for doing file organization. I’m just starting to laid it out, planning now in organizing my financial documents starting on day 1. Great post! Thanks for the share. I have client file folders, but I need a filing cabinet to put them in instead of the plastic organizer I’m using. The plastic organizer works, but I’d like to have a filing cabinet.